The fact that words hold vibrational frequencies which manifest into the electromagnetic field of your reality should be enough information to be cautiously aware of the content you choose to dispute. The ultimate power source behind an incantation is in the words you chant, that is why they call it SPELLING. The origins of the ancient word ‘Abracadabra’ may derive from an Aramaic phrase meaning ‘I create as I speak’, however in the Hebrew language the phrase translates more accurately as ‘it came to pass as it was spoken.’ Nonetheless, the importance of the origin is insignificant compared to the monumental capabilities the word shelters. It was believed by the physician of the Roman emperor in the third century AD, that the word possessed incredible healing powers when scribed on an amulet in the form of a triangle, or ‘abracadabrangle’. It was used as a magical formula, or spell, to invoke the aid of beneficent spirits against disease and misfortune. You see, for centuries humans have been utilizing the powerful vibrations that transcend through speech to literally create the facts of their own existence. 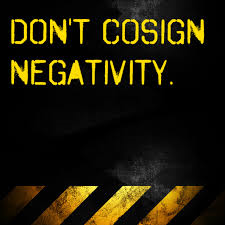 So it is extremely important that you be mindful NOT to co-sign the negativity manifestations of others. For example, when someone you know makes comments similar to “I can’t do that, I’m broke” or “Sorry, I just don’t have the money”, as a generically automated response we say, “Girl me too!” or “I’m right there with you” not realizing we just hopped on their negative bandwagon. Then we have trouble understanding why all these financial burdens appeared, or why we didn’t receive that promotion at work we worked so hard for. A simple “Not today” or “I’ll take a raincheck” will help recondition your mind to speak the things you seek in life. Although it will take conscious effort to retrain your Self, with consistency and positive reinforcements you will begin to experience tremendous change.